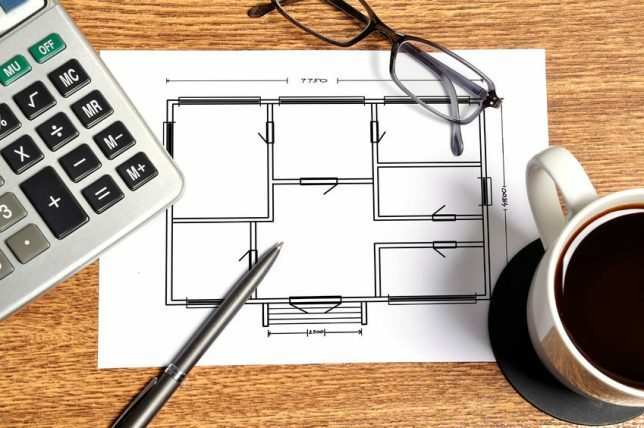 Whether your home remodel project is simple or complex, making some basic decisions in the beginning will go a long way toward ensuring you’ll be happy with the results. Use this home remodel checklist as your starting point for your project. Do you have a can’t-miss deadline, such as an important event you’re hosting? Or are you just hoping to have your project completed in the next few weeks or months? This is one decision that can affect nearly every part of your plans. If you’re in a rush, you may have to pay contractors a bit more to do the job faster. You may also have to forego some parts of your plan if special materials aren’t available in time or if a certain subcontractor can’t fit your project into his or her schedule. When considering your timeframe, also factor in how long your household routines may be disrupted and the timing of the various stages of your project. Would it be easier to deal with the most chaotic stages when the kids are out of school in summer? Do you anticipate times when you may need to have all of your time and energy focused on your job or other commitments, rather than on important phases of your remodeling project? You can’t always predict just what will happen when in home remodeling, but thinking ahead can help reduce scheduling conflicts. Home renovation is one of those things that’s earned a reputation for always going over budget, but it doesn’t have to be that way. Do your research to get a realistic idea of your project’s costs, then set a budget, including a percentage for overages, and stick to it. Without a specific number in mind, it’s very easy for costs to creep up over the life of the project. You’ll also want to have that number when you’re ready to talk to contractors, who will have the final say on just how realistic your budget is. Knowing exactly what you want and what you can live without will affect your budget and timeframe (and vice versa). Consider prioritizing the items on both your must-have and your nice-to-have lists to make quick decisions easier when you’re finalizing your plan and putting the finishes touches on your construction contract. If you have do-it-yourself skills and experience, figure out which parts of the project you’re willing and able to take on. “Willing” and “able” are both key — you’ll need to be engaged and enthusiastic about getting your part of the job done, and be skilled enough to not become a roadblock to subcontractors who may be waiting on you or who may have to redo some of your work if it wasn’t done correctly. Be careful about getting in over your head, and always stay away from tasks that require licensed professionals whose work must pass inspections by code enforcement agencies. Otherwise, if you have the time and talent, you can save thousands of dollars that you can use elsewhere. After checking off the above items, you’ll be ready to do your homework on contractors, which can be the most time-consuming task. You can start by asking for referrals from friends, neighbors and co-workers, but don’t let word-of-mouth take the place of checking out contractors’ credentials for yourself. You’ll want to ensure that each contractor on your short list has proper licensing, adequate insurance, relevant experience and even financial stability. If you don’t have the time to thoroughly vet each contractor, Contractor Connection can help. With our free matching service, you only need to enter your ZIP code above and you’ll be put in touch with a contractor whose credentials and qualifications have already been verified. There’s no obligation, and our network contractors’ workmanship is warrantied for a full three years.